The effect can transform the look of your face, and typically lasts from six to eight weeks, or until your lashes or eyebrow hairs fall out and new ones grow in. An esthetician will apply an eyepatch or a pad to your eye, and surround the area with a protective cream. They will then use an applicator to apply the dye to the eyebrow. When the solution dries, they wash away any excess solution with soap and water. The esthetician puts a protective cream below your eyes to make sure your skin doesn’t stain, and then places a cotton pad on top of the cream. You close your eyes, while the esthetician uses a fine brush to apply the tint to your eyelashes. 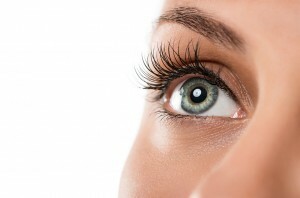 What are the benefits of brow and lash tinting? Both processes are quick and relatively inexpensive, and they allow you to have bolder brows and lashes. In the case of eyelash tinting, you’ll be able to avoid worrying about wearing mascara for a few weeks. Yes…but only when done by a trained professional. “If done by a well-trained and highly experienced esthetician or hair colorist who knows what she’s doing, it’s absolutely fine,” dermatologist Dr. Jeannette Graf tells WebMD. If you’re looking for eyebrow and lash tinting in Philadelphia, visit Body Restoration. It’s one of many services we provide from our spa in Center City. Visit our website to make an appointment, and to read more about our eyebrow and lash tinting services. Next Next post: How Often Should You Get a Facial?